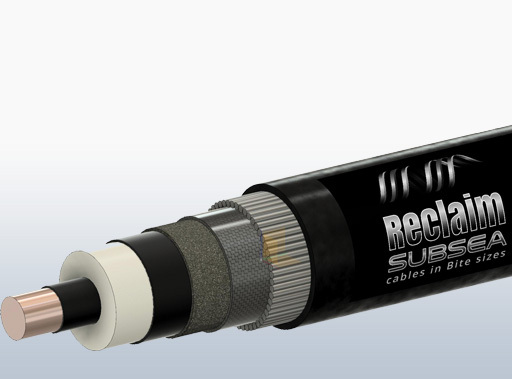 Reclaim Subsea Ltd (RSL) is bringing to the market an in-situ cable recycling process, to allow utilities, Oil and Gas companies and contractors greater control of cable recycling. The system provides a new advanced technology and a clean Development Mechanism (CDM) to the subsea cables market. Our innovative and unique process allows for the separation of the cable’s key components to be recycled and regenerated as part of a clean development vision. Our MOU with key players in the Energy and Subsea Markets enables us to provide a complete turnkey solution for our clients. Our engineering solution allows us to process any type of Power or Communication Cable. One of the technology’s primary goals is to be used as a Clean Development Mechanism (CDM), for the offshore oil and gas and renewable energy market to assist in developing environmental sustainability in the reclamation of heavy offshore and inshore cables. RSL’s goals extend to providing new advanced technology a clean Development Mechanism (CDM) to the subsea cables market. Our main goal is to assist the market to develop environmentally sustainability in the reclamation of heavy offshore cables. The technology has been developed in line with the Kyoto protocol. The protocol is an international treaty designed as the main instrument to reduce carbon dioxide emissions in countries obligated to significantly reduce its heavy industry emissions. RSL technology will allow all materials to be sustainably regenerated and reused reducing anthropogenic build-up of carbon dioxide the main cause of global warming. The Machine is ready and in operation. 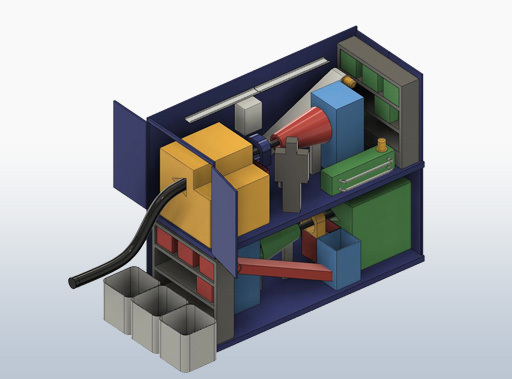 In year two we anticipate building a further systems which are intended to service the main cable manufactures on a year in year monthly hire, where RSL can supply the plant, labour and expertise in recovering factory rejects. Reclaim Subsea was established in 2015 by the current management team, to better meet our clients needs to support cable recovery, recycling and decommissioning. Our experience and contacts within the marine service industry enables us to provide a complete turnkey solution to our clients to enable the cable reclamation process. With this integral understanding we collectively can provide an environmentally sound solution to the decommissioning of subsea cables. The solution allows our client group the opportunity to reduce the operations costs by way of free issue of the cable which is then recycled and the value claimed.